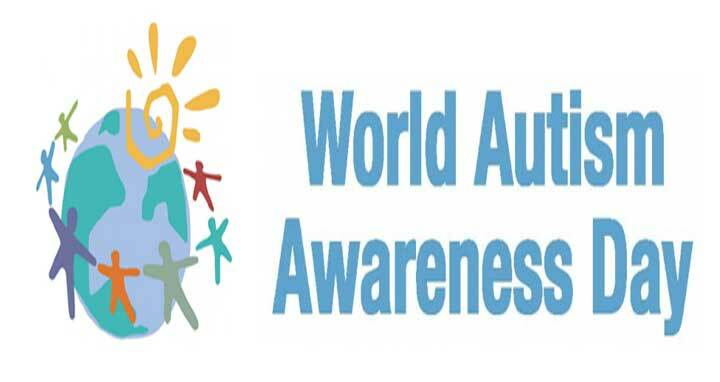 Dhaka, 2 April, Abnews: The 11st World Autism Awareness Day is being observed in the country as elsewhere across the world in order to raise awareness about autism, a development disorder of children, characterized by impaired communication, excessive rigidity, and emotional detachment. There is no known specific cause of autism but researchers suggest that autism develops from a combination of genetic and non-genetic or environmental influences. It develops at the early stage of child life and management is the only option so far. The United Nations General Assembly unanimously declared April 2 as the World Autism Awareness Day to highlight the needs for helping improve the lives of children and adults who suffer from the disorder. This year the theme of the Day is "Empowering Women and Girls with Autism". Autism, an ignored public health issue, came to the forefront in Bangladesh after Saima Wazed Putul, daughter of Prime Minister Sheikh Hasina and a school psychologist, launched campaign on it in early 2007. Saima also received recognition from the World Health Organization for her great endeavour on a neglected public health issue. A significant number of children of Bangladesh also suffer from autism, a neuro-development disorder, and steps have already been taken to raise awareness about it among parents, families, and in society. Facilities have also been established for their treatment and management locally. President M Abdul Hamid and Prime Minister Sheikh Hasina gave separate messages on the eve of the day where they urged all, including the local and foreign organizations, to come forward along with the government for the welfare of the disabled persons specially empowered women and girls with autism. M Abdul Hamid said autistic children have the equal rights and privileges as well as abilities to grow and contribute to society. These children, he said, could be turned into skilled manpower if public sector comes forward to help them along with the government to unfold their potentials. The President said autistic people have made enormous contribution to the civilization and their contributions were recognized worldwide. Like the other parts of the world, he said, children with autism spectrum disorder have great potentials in Bangladesh as well. In this context, M Abdul Hamid called upon parents, NGOs, philanthropists and individuals to come forward and support children with autism, help them unfold their creativity and make them inseparable part of society and national development. Prime Minister Sheikh Hasina, in her message, thanked all persons involved in the cause of autism and said she felt proud of her daughter, Saima Wazed Putul, who made tremendous efforts to bring smiles on the faces of autistic children and their families. Sheikh Hasina, who herself also offered great patronage to autism, said the issue was completely unknown and unattended in Bangladesh. With Saima taking the lead, she said, it has become a known health issue now in the country. Saima has also been awarded by the World Health Organization and she has been continuing her efforts to address autism nationally and globally. The Prime Minister said an autism centre was established at Bangabandhu Sheikh Mujib Medical University (BSMMU) in 2010, which is now dubbed as Institute of Pediatric Neurology and Autism (IPNA). This centre and other initiatives of the government already changed social negative perception about autism while motivated people to see it emphatically, she added. The Prime Minister also hoped that the children with autism, if given proper affection, attention and scopes, would turn into national resources instead of becoming so-called burden. She also urged all concerned to do their best for the betterment of the lives of such children. They wished all success of the Day. The ministry of Social Welfare, Social Welfare Department, National Disability Development Foundation, IPNA, National Disability Forum and different socio-cultural bodies and non-government organizations have chalked out an elaborate programme to observe the day in a befitting manner. Prime Minister Sheikh Hasina is expected to join a discussion scheduled to be held at Bangabandhu International Conference Center (BICC) in city's Agaorgaon area today morning marking the Day. The IPNA would organize a four-day art competition at Nalini Kanta Bhattashali Exhibition Gallery of Bangladesh National Museum with the paintings of the children with autism. The exhibition would be inaugurated by the Cultural Affairs Minister Asaduzzaman Noor at 5.30 pm on Wednesday. Social Welfare Minister Rashed Khan Menon said to increase understanding and acceptance of people with autism, the government offices and major installations of the country would be illuminated with blue colored light for three days from today marking the Day. He said this at a meeting on Autism today at the conference room of the ministry at Secretariat. Department of Social Services and Bangladesh Protibondhi Foundation (BPF) would be illuminated with the light for 15 days, he said. BTV, Bangladesh Betar and private TV channels and radio stations will air special programmes, while newspapers will publish special supplements highlighting the significance of the Day.